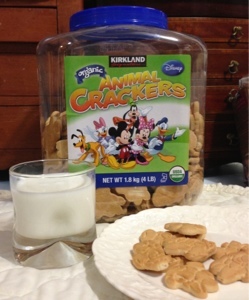 Note that our household has the above large container of animal crackers (rapidly being depleted, mind you), yet no Lady Waltons unless someone is hiding a stash - which I suppose is possible. hmm. The Lady Walton's are gone right now. I think the Brownie Bites were better than Animal Crackers I'm going to write about those soon, I think.